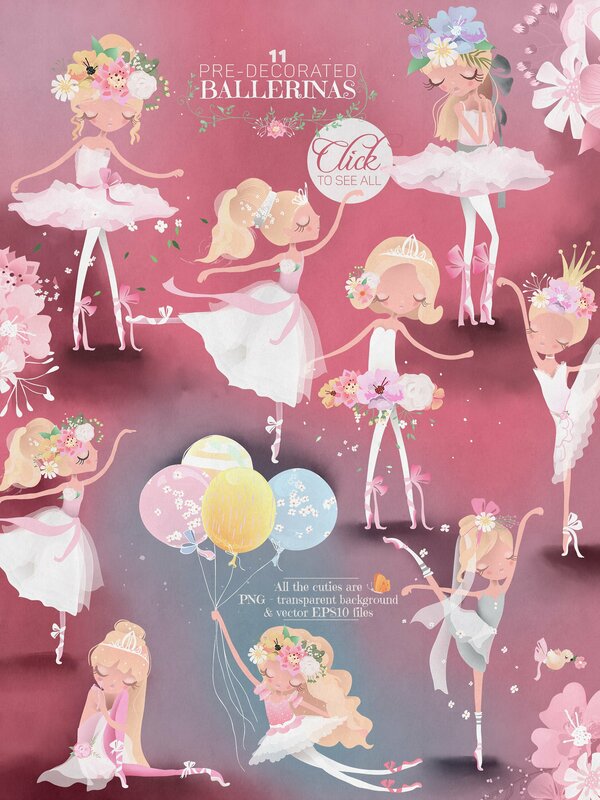 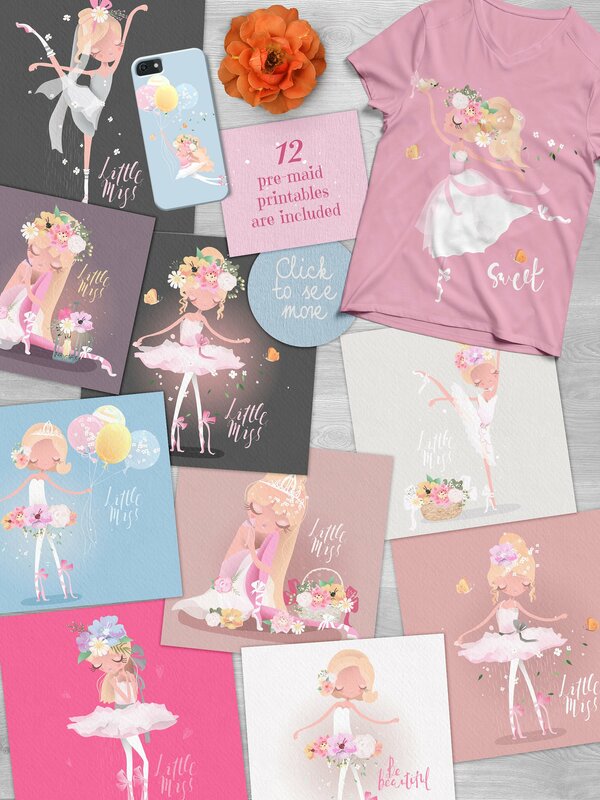 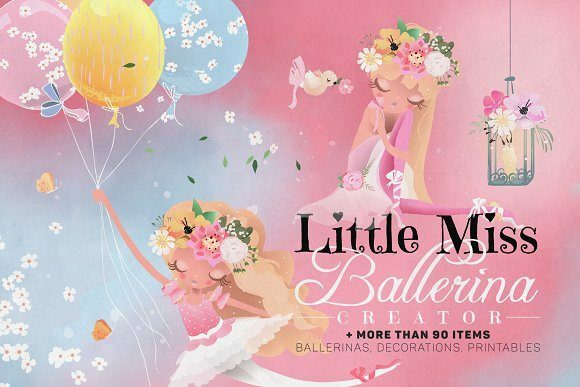 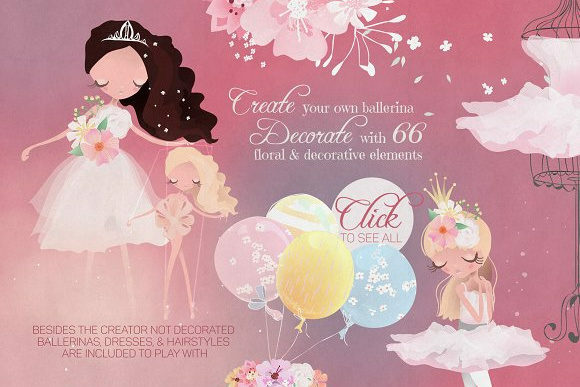 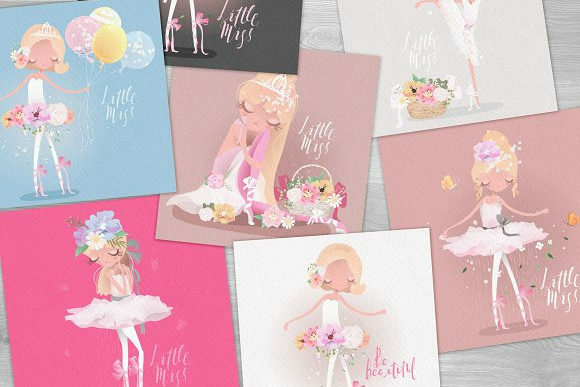 Create the cutest ballerina with an included Creator. 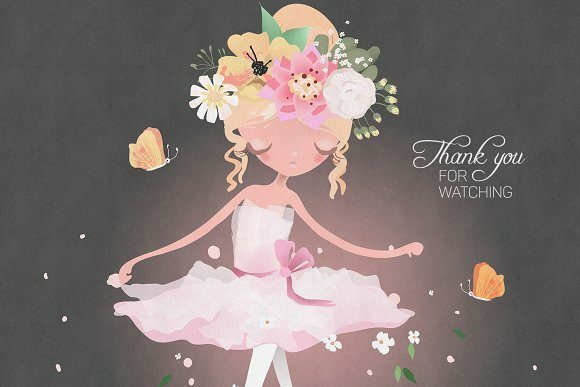 The Creator contains two skin tones, 7 hairstyles (blond & brunette versions), 4 beautiful dresses, diadem and crown, floral wreaths, two colors of tights & shoes. 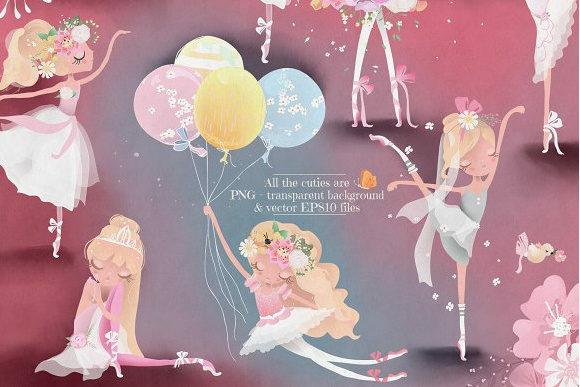 You will also find the instruction how to use it.